Simple to use. Safe to own. Taser Self-Defense tools are made to give you peace of mind while fitting into every aspect of your daily life. TASER Self-Defense: Meet your new sidekick. You're never alone when you carry one of TASER's self-defense products. We believe in a world with less worry. One that's safer, where anyone can live their life fearlessly. Whether you're at home or on the go, our self-defense tools are small, light-weight, and effective, ensuring professional-grade stopping power to keep you safe. Because you've got places to go and things to do. 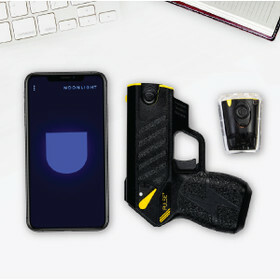 Pulse+ smart devices integrate with Noonlight, a safety platform that wirelessly connects to your phone and enables emergency dispatch when fired. 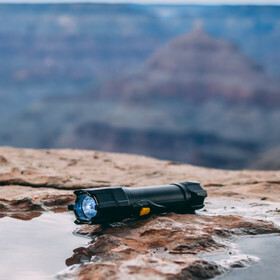 Multi-tasker extraordinaire, this 80 lumen flashlight with a high voltage stun both startles and repels. Shop the TASER Professional Series or browse accessories like cartridges and holsters. Leave your Taser behind! If you ever find yourself in a situation where you must use your Taser to protect yourself or your loved ones, we'll replace your device. 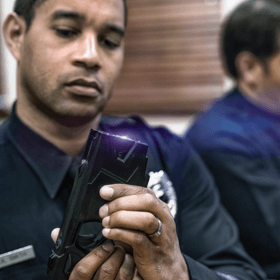 Discover how TASER Smart Weapons work with body cameras, other devices, and evidence management software to protect life in the field, station, and courtroom. 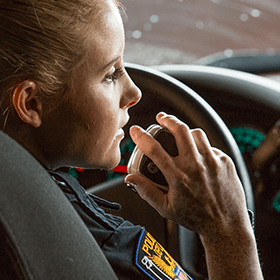 We do more than arm you with the best devices and apps in public safety. With Axon Academy, you can feel confident when handling your Axon technologies – from TASER smart weapons to software solutions. The numbers tell the story, TASER products save lives, prevent injuries, reduce litigation, and save agencies a lot of money. Discover connected devices and apps that work together to protect life. Simple to use. Safe to own. Effective when you need it. TASER International is now Axon, the network of devices, apps, and people protecting life in new ways.